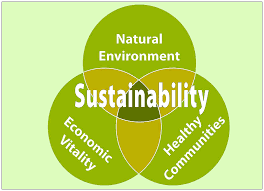 Natural Resources are materials or substances occurring in nature which can be exploited for economic gain. 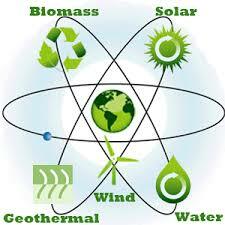 Examples of natural resources are air, water, wood, oil, wind energy, iron and coal. 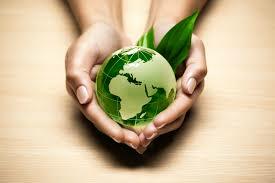 There are two types of natural resources, renewable and non-renewable resources. Renewable resources are ones that can be replenished or reproduced easily. Some of them, like sunlight, air, wind, etc., are continuously available and their quantity is not affected by human consumption. Non-renewable resources are formed over very long geological periods. Minerals and fossil fuels are included in this category. Since their rate of formation is extremely slow, they cannot be replenished once they get deployed. Natural resources are very important for our survival on earth. But due to global warming and our carelessness, natural resources are depleting day by day. At this rate of depletion, soon there will be no natural resources for our life and future generations. 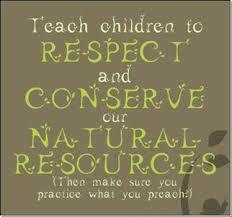 So here are some ways by which we can save natural resources. 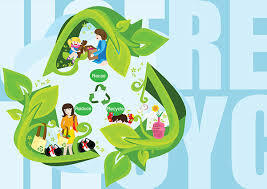 It is time to apply the three R’s of the environment that is reduce, reuse, recycle. We should reduce the amount of waste generated by us. We can do this by buying products that have less packaging as more than 30% of our waste is packaging materials. We can also look for things that are packed in materials that don’t require a lot of energy or resources to produce. 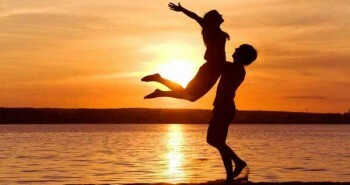 Instead of buying things that we are not going to use often, we can borrow them for someone else. There are tremendous ways by which we can reduce the amount of waste generated by us, we can use computers instead of papers, we can start a compost bin, etc. Next is reuse. Instead of throwing things away, we can try to find ways to use them again! We can bring cloth sacks to the store with us instead of taking home new paper or plastic bags. Coffee cans, shoe boxes and other types of containers that we throw away can be used to store things or can become fun arts and crafts projects. We can write on both sides of paper or store food in a reusable plastic container. We can also recycle things to save the environment. Many of the things we use every day, like paper bags, soda cans, and milk cartons, are made out of materials that can be recycled. Things like paper and plastic grocery bags, and plastic and aluminum cans and bottles can often be brought to the grocery store for recycling. If we practice this method, then there will be less waste to pollute our land, air and water. Without water nothing can live. It is the source of all life on earth. Water covers 70% of our planet, but only 3% of it is clean and suitable for human consumption and we are polluting this 3% also by dumping hazardous waste into water bodies. Therefore the need to save this natural resource is urgent. We can save water in a thousand ways. We can turn off the tap when we are not using it, we can change our laundry patterns like doing laundry only when there are lots of clothes and on buying a new washing machine, we should make sure it has at least a five-star water efficiency rating and four-star energy rating. Front-loading washing machines are usually the most water efficient, using up to 50% less water. We can change the flush of toilet to a dual-flush toilet. 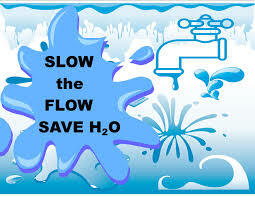 We can take shorter showers and we can utilize gray water or waste water from bath and washing machines on gardening. We can also collect and harvest rainwater. So, conserve water to conserve life. We need electricity at every moment and in every walk of life. 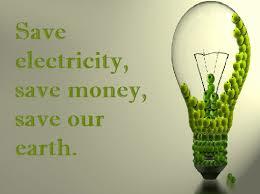 So we should use it properly and thus save energy. At home, we should be very careful regarding the electric apparatus used by us. Fans, lights, air-conditioners, refrigerators, water heaters should be used properly. Television sets should not be on when we do not need them. We should use lights and bulbs that consume less power. 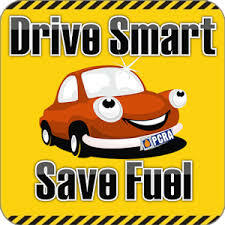 Fuel is a natural resource that produces useful energy when it undergoes a chemical or nuclear reaction. Coal, wood, oil, petrol or gas provides energy when burned so we consider them as fuel. To save fuel is very essential for our future because we are running out of it and at this rate of its consumption, soon there will be no petrol left for our cars. We can save fuel in many ways. We can visit the petrol pump only if our car has little or no fuel. We can turn off our car in slow traffic or at traffic signals. We can minimize the use of brakes. We can drive at a steady speed or use electric-powered cars. We can use public transport or take a walk instead of driving. Plastic are very harmful for the environment. It takes 1000 years to decompose into smaller pieces, which seep down into the soil and release chemicals, which eventually reach the water supply, thus polluting the water bodies. It also kills animals in the water as they eat plastic bags. The manufacturing of plastic bags is harmful to the environment because non-renewable resources are used (petroleum and natural gas). This manufacturing process itself uses toxic chemicals, pollutes the atmosphere and consumes energy. The transportation of the billions of plastic bags produced annually means further energy consumption, largely in the form of more petroleum. Stores give out unlimited amounts of plastic bags for FREE even when the customer doesn’t really need one. So as we see its cost in terms of energy and manpower is greater than the value of the material produced. So we should try to curb the use of plastic. We should use biodegradable bags made from fabrics. We should donate old newspapers and magazines to small scale institutes that cut these old papers into paper bags and packets. One cannot decline the devastating results which deforestation has brought to mankind. Increasing population causes an increase in demand of land, water and other resources, which compelled man to make several chunks of green land barren for construction of houses and setting industries. Besides, it has also disturbed the water cycle. Planting trees can at least restore the balance. It can become a huge step in not only conserving natural resources, but also planting them. Since some of the resources are in limited amount like coal, natural gas, etc, we must make use of renewable resources for power generation and other energy requirements. 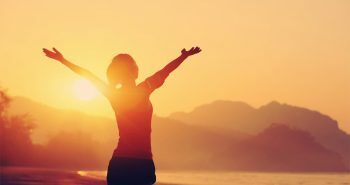 Also the requirement of energy is inevitable, man has to find a substitute for these resources which should be eco-friendly and efficient in nature. One of the great option is hydro-power and solar power. Energy can be even harnessed through moving winds using windmills in suitable areas. There is nuclear power which is proved to be highly efficient. Power can be generated from these sources and these are the best ways for natural resources conservation like fossil fuels. 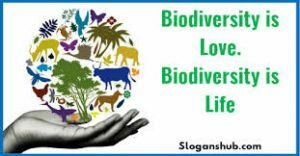 Biodiversity is our natural heritage and particularly important for creating sustainability because of the specialized roles each species plays in maintaining ecological balance. Communities can promote healthy wildlife by supporting integrative approaches for managing, protecting, and enhancing wildlife populations and habitats appropriate to their area. The first and foremost need of the hour is to use the remaining resources judiciously whether it is abundant or limited in amount. We should try to use ways to protect the non-renewable resource as much as we can. We must not forget that our future generation also possess the right to have these resources. We must assure that there is no wastage from our end. Undoubtedly awareness among masses regarding pollution has increased and some have started taking measure to save resource in all possible way from their end. But still there is a huge part of population who is still not aware of the causes. Even if they know, they don’t know the preventive measures. So they need to get educated about the eco-friendly methods through programs, advertisements, or some other way.